Paul is a Deputy Secretary and sits on the Board of the Department of Finance. ESS provides shared services to over 25,000 users for ICT, HR, Finance, Pensions and Property Management and has won a number of significant awards. These include a EFQM 3* Award; a Top 100 placing in the Sunday Times Best Companies to Work For Awards; and Shared Services & Outsourcing Network (SSON) European Award for Excellence in Transformation. Paul is responsible for Digital Transformation, ICT and Cyber Strategies and he chairs the Northern Ireland Cyber Leadership Board. 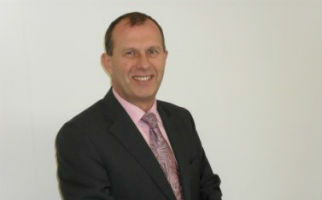 His career spans over 30 years in the ICT (private and public) sector – in UK and internationally. Paul is visiting professor at the Ulster University Business School lecturing on change management and shared services.